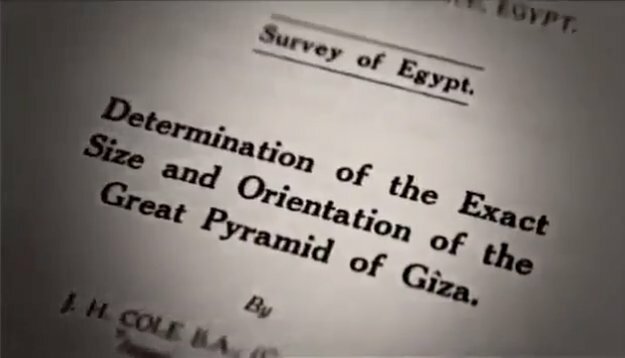 Home The documentary film: "Revelation of the Pyramids"
We come now to the second part of the film, which contains much more extensive information about Jacques Grimault’s bibliographic references. 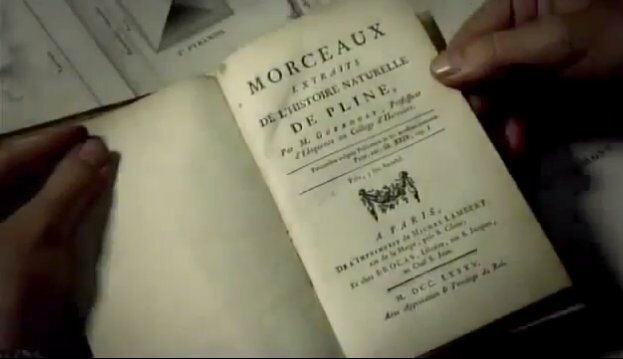 First, at 58 min 43s, we are shown a glimpse of a book that includes a paper by Rainer Stadelmann to which I’ve already referred in another article (fr), since it is this work that Jacques Grimault relies on for his claim that, at one time, the capstone of what is known as the Red Pyramid of Dahshur was exactly one metre in height. We may note that Stadelmann is the only contemporary Egyptologist who has written a paper in a book that is mentioned in the film, but it is rather a coffee table publication: Egypt: The World of the Pharaohs, edited and authored by Regine Schulz and Matthias Seidel, first published in French in 1999 (in German: Ägypten : die Welt der Pharaonen). There is no mention of any other book by Stadelmann, despite the fact that several other works of his mention this pyramidion. 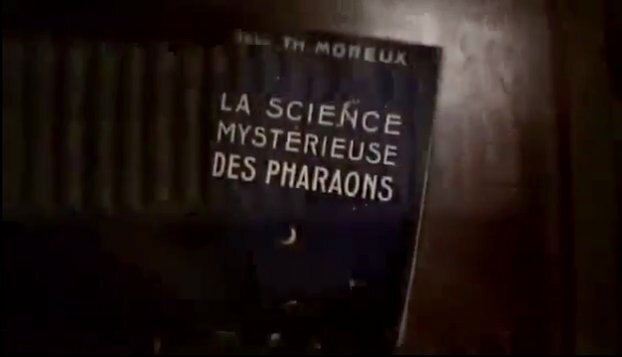 The film then takes us (1h 00 min 10s) into Jacques Grimault’s library, where we have another glimpse of the books shown at the beginning of the film (Letronne on Hero of Alexandria, and Flinders Petrie, Pyramids and Temples of Giza). 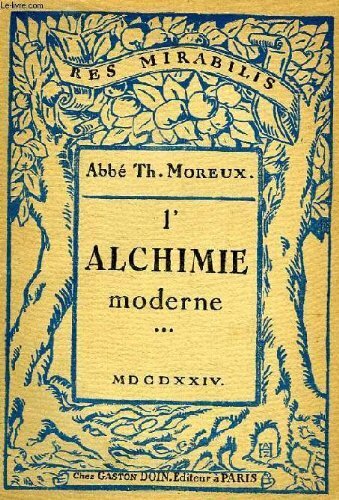 The viewer is then favoured with a shot of an eighteenth century translation of Pliny: Morceaux extraits de l’Histoire Naturelle de Pline (Extracts from Pliny’s Natural History) by P.C.B. Guéroult (fr), "Professor of Eloquence at Harcourt College," published in 1785. One might wonder why, when there are many complete translations (fr) available, Jacques Grimault would use an old partial translation. Could this be for aesthetic reasons? The Pliny extract cited can be found on page 479 of the Guéroult work; it comes from book XXXVI in the Natural History entitled "Dealing with the natural history of stones". So what was it that Jacques Grimault found of particular interest in this excerpt? (1h 00 min 28s) Who, for example, has heard of the 2,000- year-old controversy reported by the Roman historian Pliny the Elder concerning the builders of the pyramids? Twelve leading writers of his time were unable to agree on the identity of the builders. But how many texts by those twelve authors survive today? Only one: that of Herodotus, on which Egyptology is so heavily reliant. The "controversy" mentioned by Pliny the Elder concerns the names of the kings for whom the pyramids were built. Contrary to Jacques Grimault’s assertion, neither Pliny, nor any other ancient author, was in any doubt that the pyramids were built by the Egyptians ... And there is nothing in Pliny’s text referring to any "controversy", since all he says is that (XVII): "The authors who have written about them [ … ] are not all agreed as to which kings were responsible for their construction, since chance, with the greatest justice, has caused those who inspired such a mighty display of vanity to be forgotten." This suggests, not a disagreement between the authors cited, but simply their ignorance of the names of the kings responsible for constructing the pyramids. Apart from the eleven missing authors, we do have texts by other ancient authors, Greek and Roman. Besides Herodotus and Pliny, we may mention Manetho, Diodorus, Strabo, Plutarch, Ptolemy, Ammianus, Horapollo ... Even though several of them rely on Herodotus, they also use other sources that have now either completely or largely disappeared: Agatharchides of Knidos (to be discussed below), Artemidorus of Ephesus, Hecataeus of Abdera, Eudoxus of Cnidus , Chaeremon of Alexandria. Furthermore, also almost all of these authors either visited Egypt in person, or, like Ptolemy, were even born there. At 1h 01 min 00s, the film makes fleeting reference to John Taylor, although he might have deserved rather more attention than that. 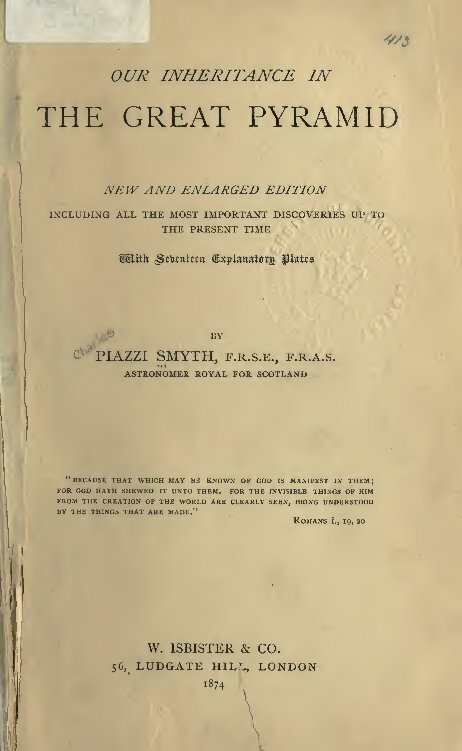 His book, The great pyramid; why was it built: & who built it?, assures him of a place as the true father of pyramidomania, at the head of a long line of pyramidologists, from Charles Piazzi Smyth to Jacques Grimault himself, via Charles Taze Russell (founder of the of Bible Student movement, forerunners of the Jehovah’s Witnesses) or the medium Edgar Cayce, all of whom have tried to find, within the dimensions of the Great Pyramid, evidence of a divine visitation, or traces of Atlanteans or aliens. In 1925, experts deduced [the cubit – ed.] 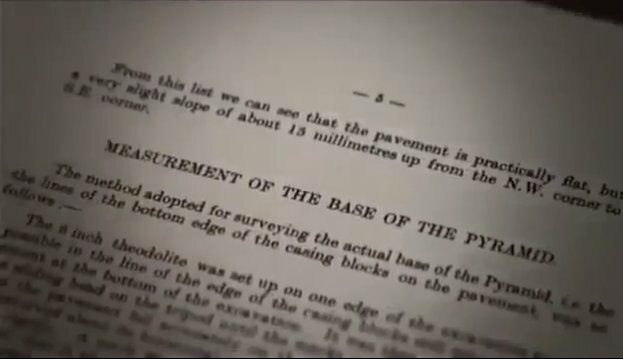 from the dimensions of the Great Pyramid and established its precise value as 52 cm, 3 mm and 6 tenths of a mm. Leaving the dimensions of the pyramid, the film now goes on to examine the supposed relationship between the pyramid and the Earth. 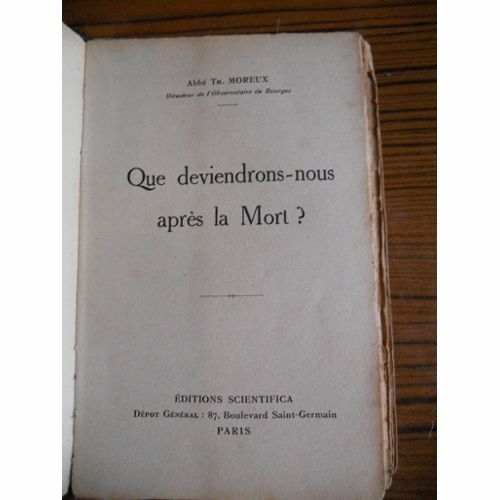 This examination starts at 1h 22 min 19s, by mentioning the location of Giza "at the centre of the landmass," referring to the book by Father Théophile Moreux (fr), La science mystérieuse des pharaons (The mysterious science of the pharaohs), published in 1923. 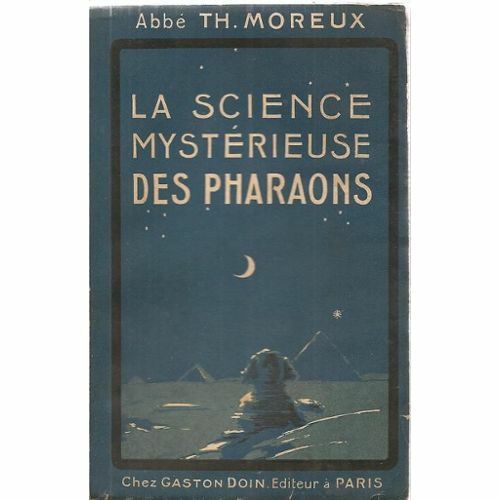 So, while describing Moreux in the film as "a twentieth century astronomer" isn’t exactly incorrect, nor is it the whole story, especially as his book on Egypt is not a work of astronomy. Moreover, as I showed in my "centre of the landmass" article, Moreux has merely copied the (bogus) theory about Giza occupying " the centre of the landmass," together with the accompanying map, from Our inheritance in the Great Pyramid published in 1864, by Charles Piazzi Smyth, irreverently dubbed by Leonard Cottrell the "Great Pyramidiot". Twenty centuries before [the Abbé Moreux], Agatharcides of Cnidus had stated that the Great Pyramid was a geographical image of the Earth. The confusion is easily explained. The little we know of Agatharchides comes mainly from Photios, who included in his famous Bibliotheca (a collection of reviews or codices of books that Photius had read) passages from two of Agatharchides’ books, and who gave us some biographical information (fr). This probably explains why, in the absence of a (nonexistent) portrait of Agatharchides, the film substituted one of Photios. Fragmenta Historicorum Graecorum, published in 1849: Volume III, pp. 190-197: containing several short fragments. 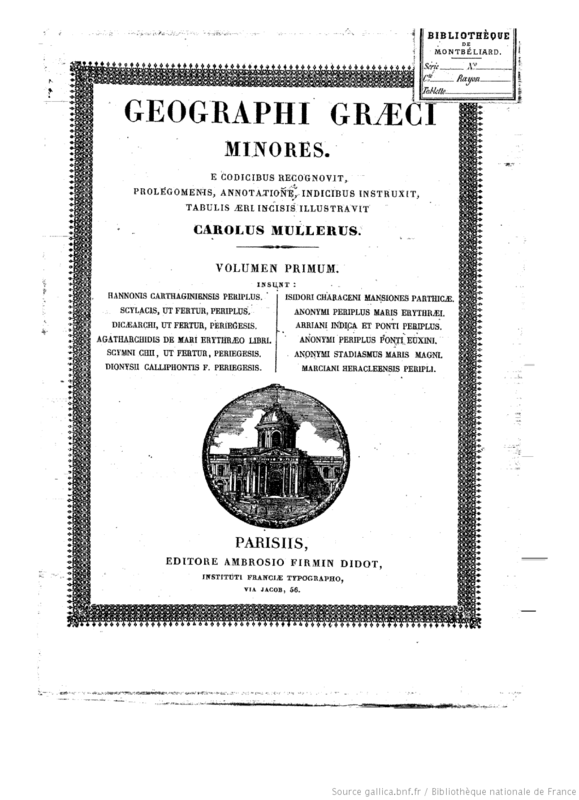 Geographi graeci minores, published in 1855: Volume I, pp. 111-195: containing books I and V of Treatise on the Red Sea, passed down to us by Photios. 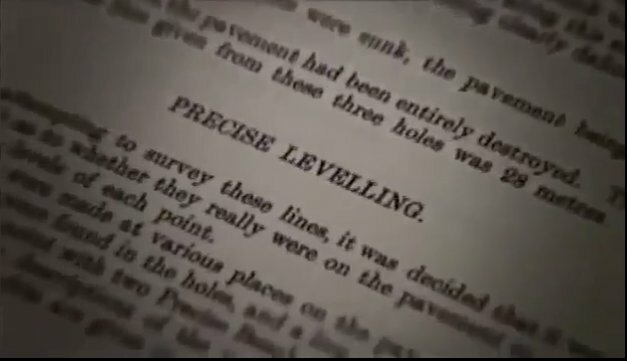 Even readers with no knowledge of Greek or Latin can quite easily see that none of these texts makes any reference to the dimensions of the Great Pyramid. The Codex of Photios, containing Treatise on the Red Sea, was published in French in 2002 by Editions Anacharsis under the title of Les Codices du merveilleux (Codices of Marvels); a good portion of this French translation can be found online. Agatharchides talks about the etymology of the name of the Red (Erythraean) Sea, hunting elephants in Ethiopia, work in the Egyptian gold mines, the way of life of the Icthyophagi of the Red Sea, giraffes and rhinoceroses ... but nothing about pyramids. But still, if the concept of ​​the pyramid as an "image of the Earth" is not to be found in the Agatharchides fragments, perhaps it could have been mentioned by other ancient authors working from a text now lost? 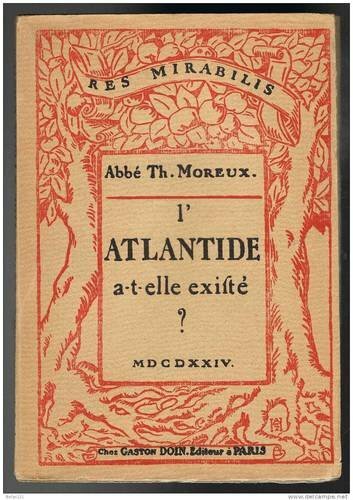 In antiquity, Agatharchides was often cited by other geographers, the best known being Diodorus, who claims to have taken from Agatharchides some of books I and III of his Bibliotheca Historica. In Book 1 - 41, he repeats Agatharchides’ analysis of the origin of the Nile floods; in Book 3 - 11, he mentions the number who "have composed works on both Egypt and Ethiopia" ; and, in Book 3 - 18, he discusses the Icthyophagi. Again, much of this book III by Diodorus seems based on, even if not necessarily directly citing, Agatharchides’ Treatise on the Red Sea (e.g., the passages on gold mines in Book 3 - 12-14). Contrast this with the fact that Agatharchides is not mentioned at all in the famous passage from Book 1 - 63 dealing with the pyramids and their dimensions; and, in any case, this passage conveys not the slightest allusion to ​​any concept of using pyramids as representations of the Earth. Although other authors cite or reference Agatharchides, they never, to my knowledge, do so in any connection with the pyramids. Athenaeus of Naucratis mentions him several times in his Deipnosophistae in connection with events in Greek and Macedonian political life. Flavius Josephus, in Antiquities of the Jews, discusses Agatharchides’ views on the Jewish people. Lucian of Samosata, in his List of people famous for reaching extreme old age, mentions his name in connection with a certain Hieronymus known to have lived to the age of 104. Strabo also mentions him in Book XVI Chapter 4 of his Geography, on the subject of the etymology of the Red (Erythaean) Sea. And, finally, Pliny mentions him in his Natural History (Book VII Chapter 2), although not in connection with the pyramids, but on the subject of some people of Africa. So, unless he had access to some completely unknown fragments of Agatharchides, which would be a real turn-up for the books, Jacques Grimault could not have discovered the idea of ​​a pyramid as an image of the Earth directly from this author. "In the second century BC [...] the Greek geographer and historian Agatharchides of Cnidus concluded that it "incorporated fractions of geographical degrees." In other words, the very configuration of the Great Pyramid is a reflecting microcosm of the Earth itself." Source: Opening the Ark of the Covenant: The Secret Power of the Ancients, the Knights Templar Connection, And the Search for the Holy Grail pg. 56, by Franz Joseph and Laura Baudoin, 2007. "In fact, towards the end of the second century BC, the Greek grammarian Agatharchides of Cnidus, the tutor of the Pharaoh’s children, was told that the base of the Great Pyramid was precisely one-eighth of a minute of a degree in length – that is, it was an eighth of a minute of a degree of the earth’s circumference … " and: "As we saw in the last chapter, a tutor of one of the late Ptolemies, Agatharchides of Cnidus, was told that the base of the Great Pyramid was an eight [sic] of a minute of a degree in length. 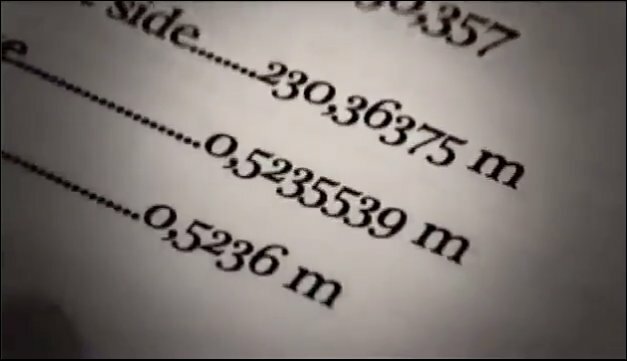 And from this it is possible to work out that the pyramid builders knew that the circumference of the earth was just under 25,000 miles [... ]. " Source: From Atlantis To The Sphinx: Recovering the Lost Wisdom of the Ancient World by Colin Wilson, 2011; pgs. 79, 110. One could find yet more examples. None of these authors displays any reservations about relying on Agatharchides, some going so far as to insert quotation marks, although without indicating the source or specifying which fragment by the Greek geographer contains all the details about the dimensions of the base and the apothem, the reference to the earth’s circumference, or the existence of a capstone. 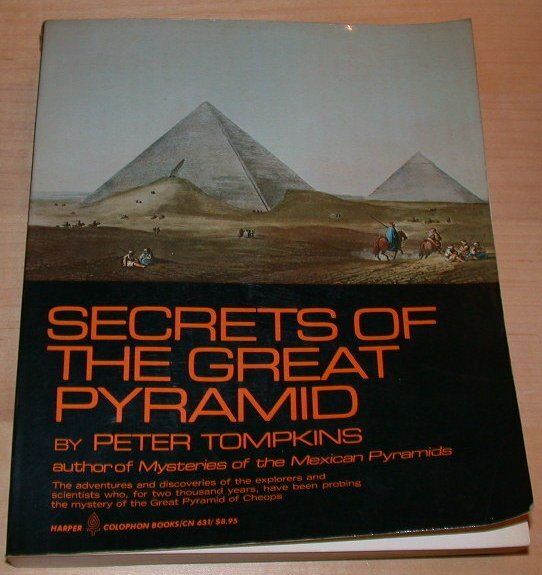 All in all, it seems to me that the original source of all these statements (in any event, the oldest text that I could find suggesting a relationship between Agatharchides and the pyramid) is a book by Peter Tompkins, Secrets of the Great Pyramid, first published in 1971. Tompkins was a former spy and anthroposophist who, along with some more or less historical books on the Second World War, published works on various mysteries (the Pyramid of Khufu, Mexican pyramids, obelisks and Freemasons ...) as well as some works inspired by Steiner such as The Secret Life of Nature that claims to present scientific proof of the existence of "nature spirits." In Secrets of the Great Pyramid, the Tompkins text is followed by an appendix of about a hundred pages entitled Notes of the Relation of Ancient Measures to the Great Pyramid written by Livio Catullo Stecchini. Stecchini was a curious character: a university professor and expert in ancient metrology, he wrote several texts on ancient coinage, agrarian measures and measures of volume in antiquity. But he was also considered by many of his peers to be a pseudoscientist; on the one hand, because of his metrological obsession, using any means, including numerology, to search for a system of measures that was common to all ancient peoples; and, on the other hand, because of his unqualified espousal of the scientifically absurd ideas developed by Immanuel Velikovsky in his book Worlds in Collision. [...] the top of the Pyramid was conceived as cut off in the computation presented by Agatharchides. This is a truly extraordinary amount of detail from an author for whom we have only a few fragments or quotes! And, once again, the thorny problem of sources rears its head, even though it might have been expected that Stecchini, a university academic, would have provided exhaustive citations. As far as I could ascertain, the authors listed in the bibliography of the appendix, pages 403 and 404, make scant reference to Agatharchides, and even those sparse mentions are unrelated to the subject of the pyramids. 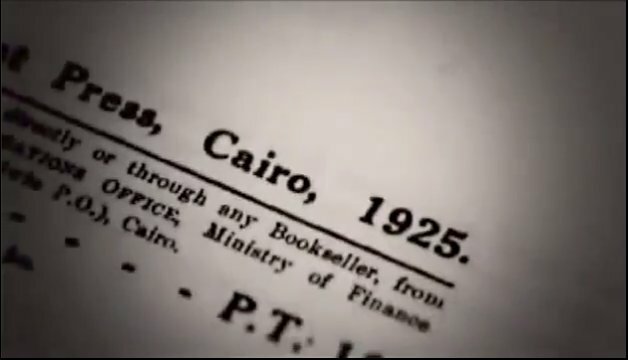 For example, Hermann Kees undeniably mentions him on page 67 of Ancient Egypt; a Cultural Topography, but only in connection with the information on gold panning described in Treatise on the Red Sea. So it was not in these books that Stecchini found all his information . 2° as noted above, none of these ancient geography texts contain any details whatsoever about the pyramidion, or about any correlation between the dimensions of the pyramid and those of the Earth. And there is more yet. On this site, a compilation of papers by Stecchini, we learn that Agatharchides supposedly obtained his information from another Greek geographer, Aristagoras of Miletus. It is not easy (Stecchini, as ever, provides no source) to identify this particular Aristagoras. It cannot be the tyrant Aristagoras of Miletus, described by Herodotus as having brought to Sparta a map showing the whole of the Earth. There is, however, a Greek historian of that name, briefly mentioned by Diogenes Laertius in Lives and Opinions of Eminent Philosophers and in Pliny’s Natural History (see above). This Greek historian, Aristagoras, was the author of texts on Egypt of which some surviving fragments have been assembled by Karl Müller (Fragmenta Historicorum Graecorum volume II). For his part, Stecchini maintains that the Aristagoras in question lived "in the first half of the fourth century BC", so about "half a century after Herodotus". 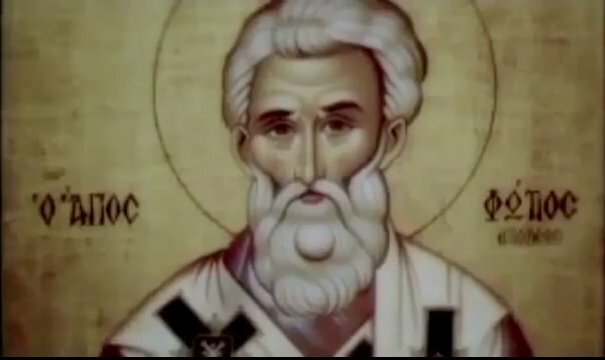 A few scholars do actually attribute a fourth century BC date to Aristagoras the Greek historian, on the basis of a sentence written by the 6th century AD Stephanus of Byzantium ("Aristagoras, slightly younger than Plato," Müller: fragment 6, page 99). But it seems that Aristagoras the historian might in fact have lived during the time of Ptolemy II Philadelphus, which would mean the third century BC. This would have the advantage of corresponding better to Pliny’s chronological list of authors who wrote about Egypt; he places Aristagoras between Duris of Samos (early 3rd century BC) and Artemidorus of Ephesus (1st century BC). Whever the truth of this situation, the fact is that not only has Aristagoras left even fewer fragments for posterity than Agatharchides, but also there is no text anywhere by anyone called Aristagoras on the subject of pyramids ... so we are free to argue whichever way we choose! In the words of my friend LC (who will recognize himself): "According to this, Aristagoras is the hypothetical source of the putative source (Agatharchides) of Diodorus ... Pure speculation: no different from Fontenelle’s The golden tooth!" To return to Jacques Grimault: whether he took the idea of ​​the pyramid as an "image of the Earth" from Stecchini, or whether he found it on one of the many pyramidological websites, it is clear that he did not take the trouble to make any basic checks on those sources, a tendency that had already become apparent here and here. At the same time as explaining that he was inspired by these historians: "Since, to bear witness ourselves, during the time of our visit to Egypt, we associated with many of its priests and conversed with not a few ambassadors from Ethiopia as well who were then in Egypt; and after inquiring carefully of them about each matter and testing the stories of the historians, we have composed our account so as to accord with the opinions on which they most fully agree,” (Diod. 3: 11) Diodorus is therefore making it clear that he was not relying solely on texts written by his predecessors. A little clarification is needed: the word "pyramidion" is not a Greek word, and does not appear in any of the main dictionaries of ancient Greek. According to the dictionary of the French Academy, the word dates from the nineteenth century, and, according to the CNRTL, was probably first used by Champollion in Précis du système hiéroglyphique des anciens Égyptiens (Summary of the hieroglyphic system of the ancient Egyptians) in 1828. To say nothing of the fact that a bibliography that includes Charles H. Hapgood’s Maps of the Ancient Sea Kings doesn’t exactly inspire much confidence! Only Philo (the Paradoxographer) of Byzantium (Seven Wonders of the World, 2 (fr)) mentions that the pyramid "would end in a point." Diodorus says that at “the top, [ … ] each side is six cubits long … " (1: 63: 2), suggesting that the top was flat. No other writer has anything at all to say about the top of the pyramid. Et au fait, Machu Pichu c’est haut, très haut, vous savez ? donc “à côté”, c’est juste relatif : je sais de quoi je parle, j’y suis allé. Moi, perso, ce film m’a donné envie d’enquêter, et pas de me laisser raconter n’importe quoi, et je remercie Grimaud pour ça. 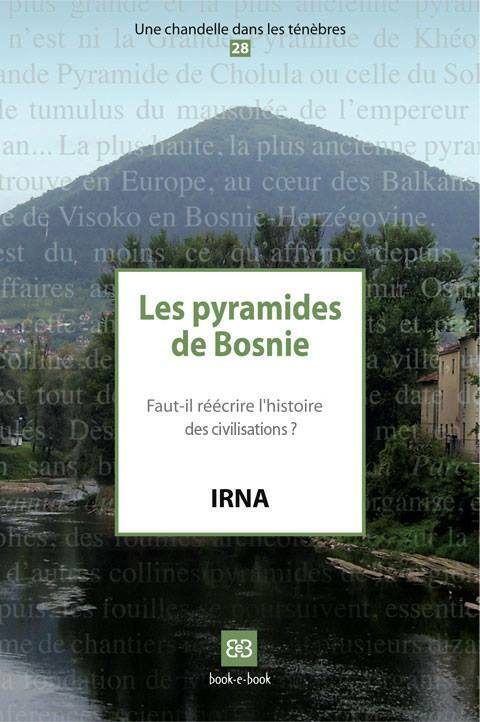 et puis c’est bizarre votre image de pyramide à l’envers, comme dans Da Vinci code : les signes inversés, ça veut bien dire ce que ça veut dire, nan ? I see that, following your article, Jason Colavito also wrote on a similar subject, and that there were quite a few comments on his article (including several from you).